Would you like to know how to spread the message of hope to a child living in poverty this summer? Compassion Bloggers have been in Kenya recently. During their time visiting the different Compassion centers, including one in the Mathare Slum area. As I have read some of the blog posts members of the team have written, I have remembered so much of what I also saw and heard in El Salvador in 2015. Poverty is devastating. Gangs, Violence, Hunger, Illness, Desperation. But I found something else too. I saw hope. joy. and children who were learning who they are as God’s precious created ones. Here are links to blog posts written by the team, Bri McCoy, Shaun, Sofie and Jamie. I think they have found some of the same things, and even more. Seven Years, so much hope realized in this story! 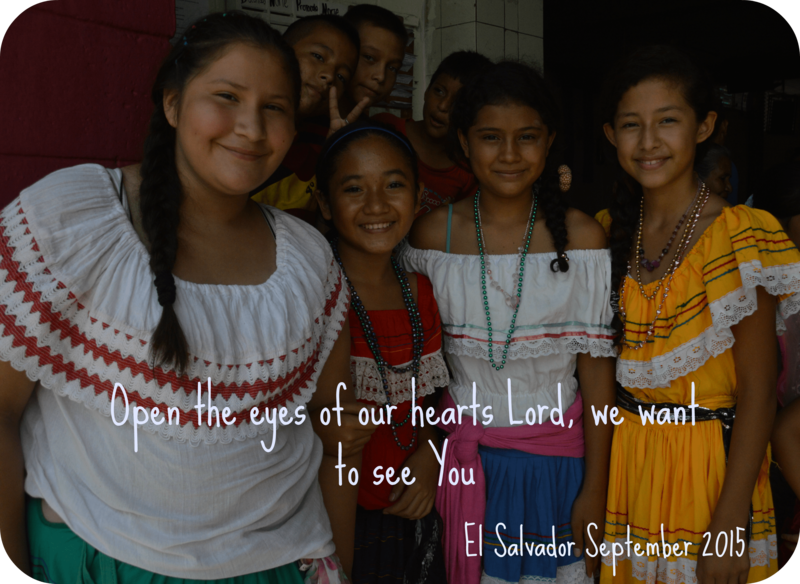 There are many children available for sponsorship through Compassion International. They each live in deep poverty, in communities that lack many of the basic things which are readily available to our own children. Children just like the ones the Compassion Team met during their visit. If you are inspired to join us in sponsoring a child, and pushing back the darkness of poverty, you can do so through any of the Compassion links in this post, or on this page. If you do, please let me know in the comments, or email me at michelle.byquietwaters at gmail. I would love to pray for you and your new sponsored child!